Receiving multiple phone calls per day on your iPhone from the same callers can make it hard for you to keep track of your call history. Now and then, whether it’s for business or personal reasons, you may want to check when exactly someone called you, how many times this or that number bothered you, or for how long your last conversation with your spouse lasted. Knowing how to view call history on iPhone can then come in handy. 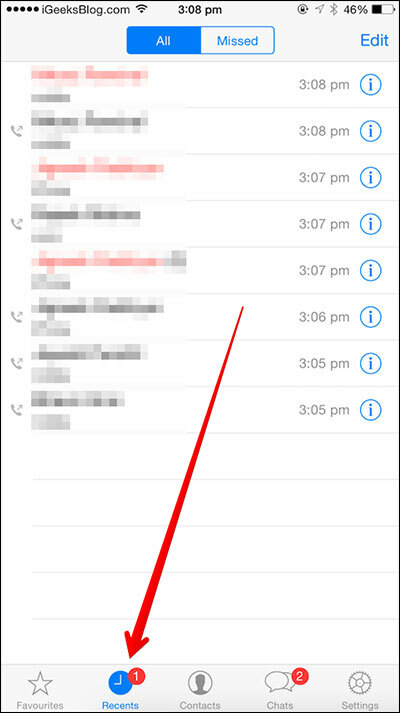 The Recent Calls feature on your iPhone helps you review your calls history very easily. If you access it, you can find out the exact time when a specific conversation began and ended. 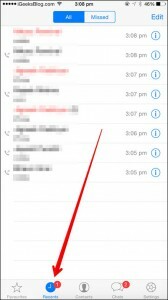 If you are always busy or on-the-go, learning how to view call history on iPhone is something you should definitely do. 1. Open the “Phone” application by tapping the “Phone” icon at the bottom of your Home screen. 2. Tap “Recents” at the bottom of the screen. 3. Tap “All” to see all the calls or “Missed” to see those that were not answered. 4. For additional information about the call, tap the icon to the right of the conversation. 5. Scroll down for details such as the day and time of the call, how long it lasted, and when it ended. If you ever forget how to access your Call History, you can always refer back to this iPhone tutorial. You may also want to export your Call History to your computer, to back it up, as well as to be able to review much older phone calls. For this, you will need third-party apps such as iExplorer which can easily access your call log, all the way back to when you first got your phone. If you enjoyed this quick guide, make sure you check our many other iPhone and iPad tutorials.